When you have been seriously injured because of someone else's negligence, you don't just want a lawyer who will file the right papers. 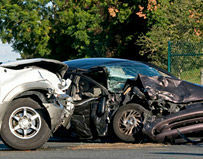 You need an experienced personal injury attorney who will show you compassion and understanding. 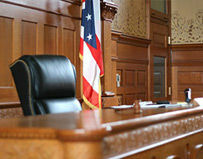 After 20 years of experience in the courtroom, Attorney Nate Fata still takes a personal approach to every single case. He meets every client personally and treats them all with respect. Even when clients live across the country, Nate makes sure to get to know the people he represents and be available to them over the phone, through email, and in person when they come to town for court. "My clients know I care and I will work hard and look out for their best interest. That's been consistent for 20 years." Attorney Nate Fata is no stranger to success. He has been representing clients and families in court for over 20 years, and has received several multi-million dollar verdicts. 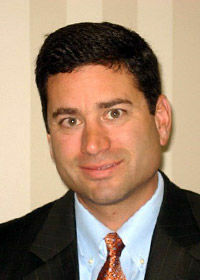 He focuses his work on personal injury cases – like car accidents and slip-and-fall cases. Nate also represents local small businesses, advising entrepreneurs and start ups on business decisions, and representing them in business litigation when things don't turn out as planned. Nate Fata is proud to have represented residents in some law-changing class actions, achieving positive results at the trial and appellate court level. Trial attorney Nate Fata tries to help people with the difficult questions that come up in life. Focusing on personal injury cases and business litigation matters, he is always trying to help clients to improve their life situations. 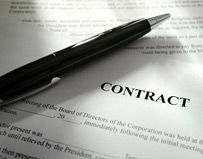 That could mean providing representation after an auto accident, or helping someone make a difficult business decision. "I don't like surprises, and I tell my clients that all the time. So I'll make sure you know what's going to happen before it happens. You will know what to expect and what not to expect; what we need to do, what I'm going to do, and what I'm not going to do." No matter how big or small your case is, you can trust Attorney Nate Fata to listen to you and understand your goals. He wants to know about you so he can better serve your personal needs. A long-time resident of nearby Georgetown County and a graduate of Socastee High School, Nate Fata is personally invested in the Myrtle Beach Community. He served as President of Waccamaw Housing for eight years, which finds homes for the homeless. His family attends a local church and his children are enrolled in the local schools. You may find him in the courthouse in Conway or at a community event in Horry County, where he works. Myrtle Beach residents know and trust Nate Fata to help them in times of crisis. They know he is reliable and will be there for them when they need a Myrtle Beach Personal Injury Attorney. President, Waccamaw Housing, Inc. 2005 - 2013, serving mentally ill, homeless persons in Horry, Georgetown and Williamsburg counties. Board of Directors, South Carolina Legal Services Corporation, former member.